Looking for the best vacuum or steamer for your bed bug problems? Great, you're in the right place! What to look for when making a smart buying decision. Click here to skip to the top vacuum. Click here to skip to the top steamer. Our recommended vacuum went to the Atrix Backpack Vacuum. We liked it the most due to its various attachments and strong suctioning power needed to pull bed bugs and their eggs out of cracks and crevices. As a reminder, a vacuum like the Atrix is great after you've applied the necessary treatments to actually kill your bed bugs (see below for more on this). For example, if you've gone though your house with a steamer like the Vapamore listed below, you'd want to come back with this vacuum to collect the dead bugs. We go more into detail on how to use vacuums and some of the things to look out for with bed bugs and vacuums. Continue reading to learn more! Heat is one of the best chemical free killers of beds bugs. It's what the professionals use, and the Vapamore MR-100 produces a lot of it making it our top pick. It heats up to 210+ degrees, more than enough to kill adult bed bugs and their eggs. It comes with a lifetime warranty on the heating element, water boiler, and all internal electric parts. It's capable of killing bed bugs but also cleaning your bathroom, kitchen, and home floors. We made it our top choice mainly due to the lifetime warranty as cheaper models only have 1 year warranties. It also has the greatest tank capacity for longer steam time before refills are needed. For people who want a cheaper more budget friendly option, we do recommend the McCulloch 1275. It has a slightly smaller water tank and a 1 year warranty. If you're looking to learn more about steam cleaners and how to use them, keep reading the rest of the guide below! What Is a Steam Cleaner And Why Should You Use One For Bed Bugs? 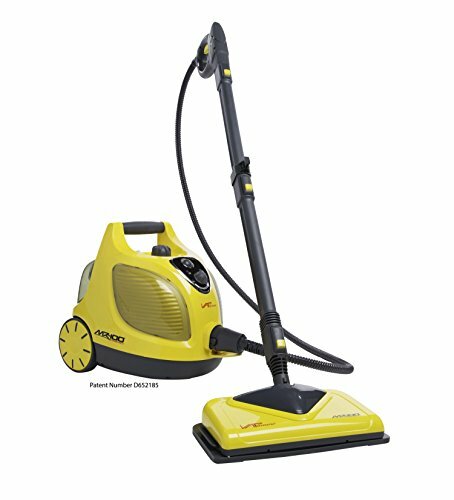 Differences Between Steam Cleaners And Vacuums For Bed Bugs? What Should You Look For When Buying? There's a lot of bad information out on the internet about bed bugs, and we're here to help provide everything you need to know all in one place. If this is what you're looking for, then you're in the right place! Let's get into the guide shall we? Click on each of the link within the list below to check out the top 5 vacuums and steamers we reviewed. If you have a couple minutes, continue reading to learn more about how to actually use these tools. Interested In More Ways To Kill Bed Bugs? Click here for our top bed bug killer picks! A steam cleaner is a device which emits hot steam to disinfect surfaces, loosen stains, and kill small pests like mites and bed bugs. Why do steam cleaners work? In fact heat, is the one thing that will kill bed bugs (and more importantly their eggs) without fail. Bed bugs and their eggs die immediately when exposed to 122°F. For really bad bed bug infestations, exterminators will heat up an entire homes in an attempt to kill bed bugs. 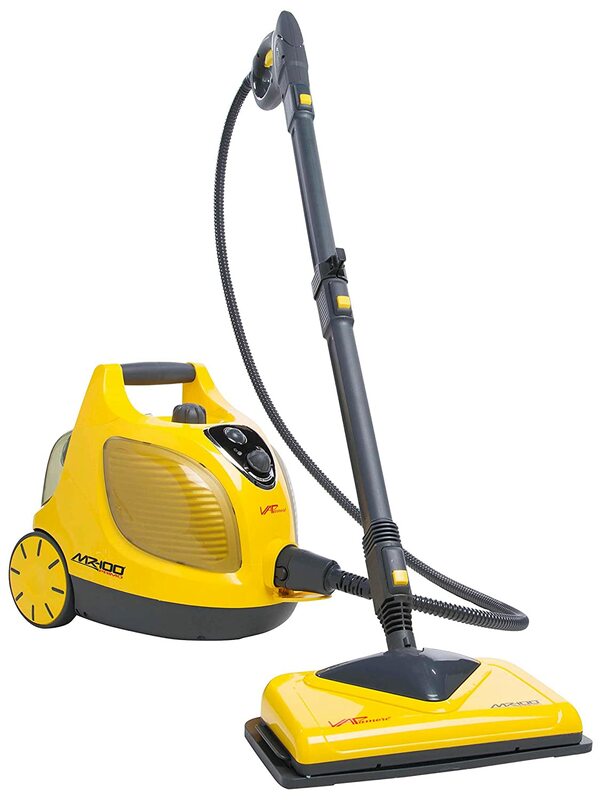 A steam cleaner provides for a method of directly applying heat to a specific area and/or surface. For example, if you have just come back from a long trip, using a steam cleaner for your belongings is a great way to apply high heat in case any bed bugs decided to come back with you. Another way to use steam cleaners, would be to apply the heat directly to the baseboards of your home. Steam cleaners kill bed bugs by exposing them to high enough temperatures that they die. The equivalent would be a person sitting in a sauna too long and eventually passing out from the heat. Vacuums pick up bed bugs and usually kill them from the force of the air, although some might also employ a heating mechanism. The owner, would then throw out the contents of the vacuum and be done. Below are some of the key differences between the two devices and how you can use them. A steam cleaner can be one of the most effective (and cost friendly) way to treat your home for bed bugs, just be careful not to over do it with the moisture in slow drying surfaces (mold). One of the main advantages of using steam for bed bugs, is that steam, kills the eggs, where other insecticides only kill the adults. When it comes to bed bugs, steam cleaners can kill any bed bugs that are lurking in fabrics or on hard surfaces. DO wear a respirator to prevent any accidentally inhalation of toxic fumes. 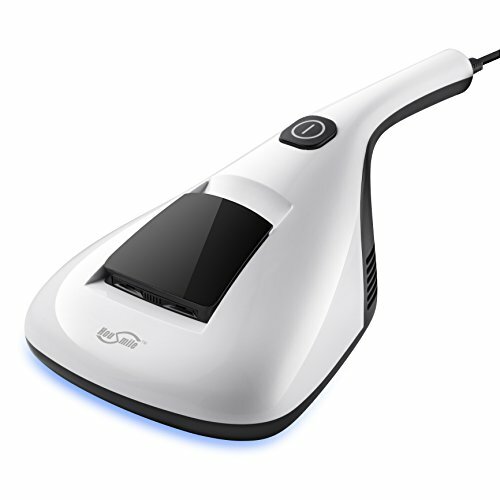 Steam cleaners can vaporize chemicals that may be applied to the surfaces you're steaming. Read Also: What's the best respirator? Vacuums are more appropriate when you're cleaning up dead bed bugs rather then trying to actually kill them. This is because vacuums lack the ability to get into the nooks and crannies of homes where bed bugs tend to live. Even if your vacuum could reach their nests, they often lack the suction power to dislodge the bugs. If you still want to use a vacuum for bed bugs, our recommendation would be to scrape the infested areas with the end of your vacuum wand. This will help pull up the eggs and other bugs that would be stuck otherwise. Bagged vacuums are better for bed bug cleanup because the bag can be detached from the vacuum. zipped up in a bag, and thrown out. Bag-less vacuums are a bit different because the vacuum itself can become infested with bed bugs and their eggs, if you don't take appropriate cleaning procedures (e.g., cleaning out the canister with near boiling water, check the brush attachments for eggs, etc). On top of that, you run the risk of damaging your vacuum if you use diatomaceous earth or some other fine powder in your attempt to kill bed bugs. As with all bed bug treatments you attempt to do yourself, you should ALWAYS consult a certified professional beforehand. You run the risk of hurting yourself, your family, or making your bed bug problem worse. Vacuums and steam cleaners are equipment used for the long term and tend to cost more than other, more disposable pest control methods. Handheld devices are cheaper but will break faster and might cost more in the long run. Meanwhile, larger equipment can last for years but requires a greater initial cost than a smaller unit. The average price for a handheld steam cleaner of vacuum is $35-$85, while a full-sized unit means spending between $150-$300. The main idea is to consider how long you would like to use the item and what your specific needs are for the control of bed bugs. Do you want something that can disinfect surfaces? And how long do you want it to last? Below are some of the factors to consider before purchasing anything. 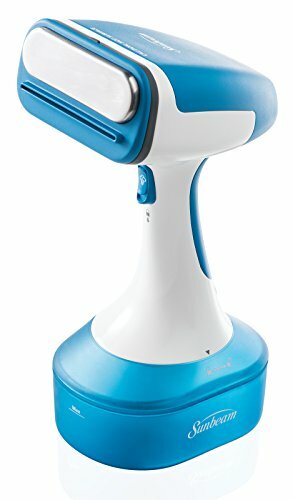 Some steam cleaners and vacuums are handheld devices that you can travel with. In many of these cases, the product does not come with any attachments. Attachments are useful because bed bugs can be difficult to find and hide in hard to reach places. If you find bed bugs in a crook near the ceiling, how can you reach them? Are you strong enough to hold a vacuum up to the curtains? Attachments can simplify the cleaning process and save you lots of energy when it comes to exterminating pests. Also, when shopping for steam cleaning attachments, aim to get at least one larger brush head so that you can apply the steam over a large area. Smaller heads will focus too much pressure on a single point, potentially pushing the bugs around and possibly making your infestation worse. Steam cleaners and vacuums vary in their function and design. Some were built for travel or to be handheld, which means their smaller and not as sturdy as regular models. This means that if you buy one, it might not survive for longer than a year or two. A larger model costs more but can last for several years. They also hold more water or dirt and can be used throughout the entire house without needing to refill or empty it. Having a large water container is especially important for steam cleaning jobs to avoid interrupting the heat treatment. Unlike other devices, the creators of the Housmile vacuum cleaner designed it to eliminate small pests and dust mites. The system uses HEPA filtration to eliminate air pollution. The product uses high frequency vibration as well as strong suctioning power so bed bugs and mites are beaten out of their hiding places and then sucked up quickly. The Housmile is convenient for most users because it weighs less than 3lbs. and is able to absorb a large amount of material because it has a container that can hold 160ml. of dust or pests. We recommend this product to people who want a quick, efficient solution to pest problems and do not want to learn how to use more complex equipment like steam cleaners. This steamer is fall enough to fit in a person’s hand and heats up in 45 seconds, which means you can use it quickly to eliminate potential hazards like mites and bed bugs on the go. It’s portable and made for travel, so it’s also durable enough to survive a trip in a suitcase. The Sunbeam Handheld Steam Press holds roughly 15 minutes’ worth of steam and can be used on fabrics, linen, drapes, and curtains. I recommend the Sunbeam Steam Press to people who worry about pests on their clothes or for individuals who need to travel and worry about the hazards of hotel rooms. The press includes a wide, flat bar which can eliminate wrinkles while destroying pests, and it also has a function where people can lock the trigger in place to provide a continuous flow of steam. 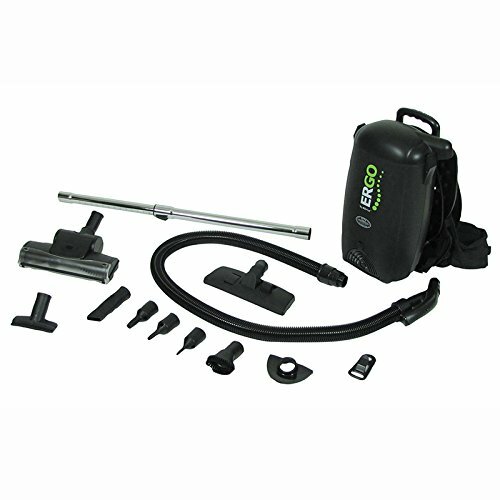 The Vapamore is an effective, heavy duty steam cleaner designed to eliminate germs, bacteria, mites, and bed bugs using dry vapor technology. It comes with a tank and an attached steamer and is capable of holding 60 minutes’ worth of water to clean many different surfaces. Unlike some cleaners, the Vapamore can be used on hard floors and carpets and heats up to 210-220 degrees Fahrenheit to ensure an inhospitable environment for pests. 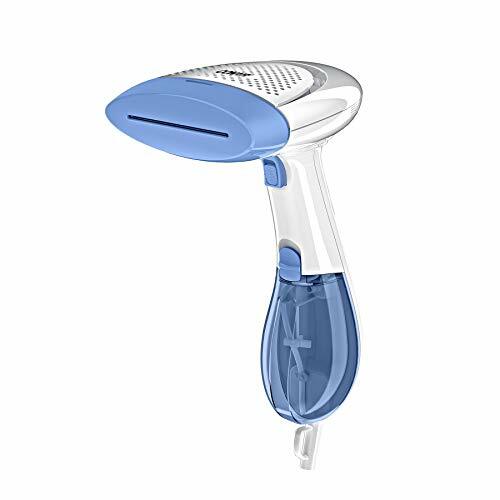 Individuals can adjust the steam output of the cleaner quickly and easily, and the product comes with several different accessories to help people reach difficult areas. I would recommend this product to people who want to clean their entire home or who want to regularly treat rooms to kill any pests. Click here for a full review of this product. Conair developed a hand held steamer that people can use to disinfect fabrics and kill pests which might be lurking on clothes, carpets, and curtains throughout the home. The standard product comes with three attachments, which are a fabric brush, a creaser, and a soft cushion brush. The main purpose of the steamer is to disinfect and destroy pests on the goal, meaning this product is useful for people who need to travel or are worried about the sanitation of hotel rooms. The dual heat system takes roughly 75 seconds to heat up, and the container holds 15 minutes’ worth of water to generate steam. Unlike some other products, the Conair system can be used quickly, and I recommend it to people who want to do a quick run-over of their homes or clothes just in case of a pest problem. Manufacturers designed the Atrix vacuum to specifically target pests like bed bugs, mites, and even cockroaches. The system uses powerful technology and can be used in commercial, residential, and industrial properties safely and effectively. The Atrix uses a HEPA filter, which is a type of filter that forces air through a thick mesh to trap any particles. While cleaning up bed bugs, people can also purify the air within their homes and eliminate any harmful particles released into the air killing two birds with one stone. The vacuum weighs roughly 20lbs. and is versatile enough to use on all sorts of surfaces, including carpets, tile, and curtains. People can use special attachments to find hard to reach areas to eliminate bed bug populations that could be hiding around door frames or the panels around outlets. This vacuum is more heavy duty than some other models but can be carried on the back, making it ideal for people who want to clean their entire homes. For an even more premium vacuum from the same brand, we also recommend the Atrix Green Supreme Vacuum, which is a little bit more effective and convenient (it closes in on itself). The Vapamore unit is pricey but definitely an investment in a steamer not only for bed bugs for most other pests in your house (mildew, mites, etc). Similar to the Vapamore unit, the Atrix Vacuum is expensive, but could last you years! Please Note*** If you are attempting remove a bed bug problem on your own, we highly recommend you schedule a consultation with a licensed exterminator or else you risk making your bed bug problem worse. Click here for our tool to help you find free quotes from pre-qualified exterminators in your area. Having bug problems? Search for answers! Download our 39 point pest control checklist to secure your home today! Want To Keep Your Home Pest Free? Important Disclaimer: The information contained on Pest Strategies is intended for informational and educational purposes only. Any statements made on this website have not been evaluated by the Environmental Protection Agency (EPA), the Food and Drug Administration (FDA) or any other regulatory body. Any information or products discussed are not intended to remedy, exterminate, treat, or prevent any insect or rodent infestation. Please consult a licensed exterminator before utilizing pesticides in or around your living conditions. Pest Strategies is a participant in the Amazon Services LLC Associates Program, an affiliate advertising program designed to provide a means for us to earn fees by linking to Amazon.com and affiliated sites.